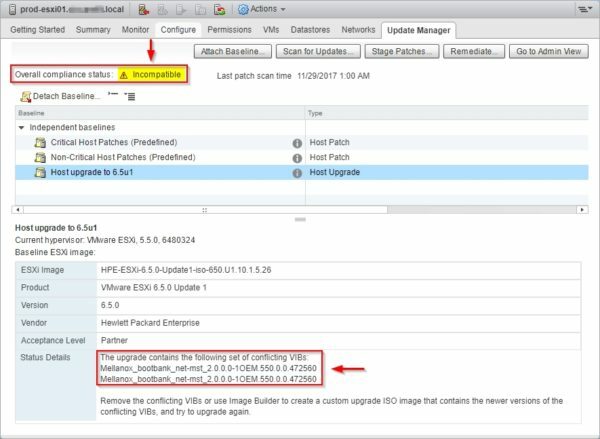 During the Scan for Updates process of ESXi hosts to upgrade from 5.5 to 6.5, VMware Update Manager displays an incompatibility error due to conflicting VIBs using the HPE image. To discover where this driver is used, we need to SSH the affected hosts and use esxcli commands. 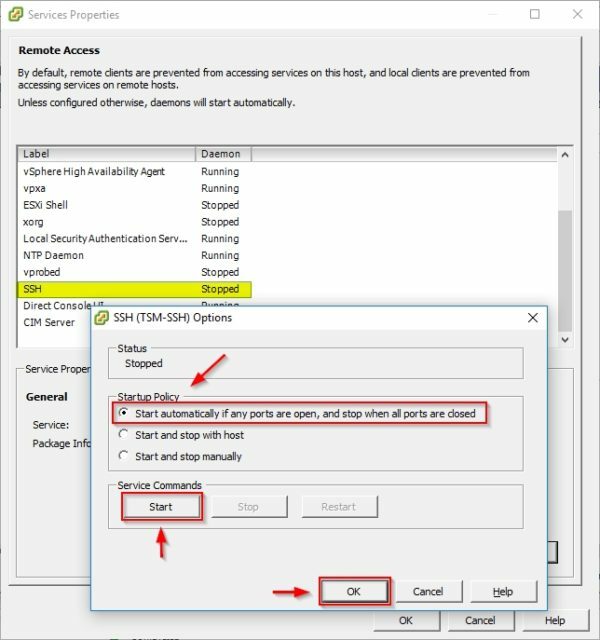 Disabled by default, the SSH service must be enabled in the ESXi host 5.5 using the vSphere Thin Client. Go to Configuration tab and select Security Profile in the Software section. Click Properties in the top right of the screen to enable SSH. Select SSH from the list and click Options. Select any Startup Policy (we just need to access the host temporarily) and click Start to enable SSH. Click OK to confirm. The net-mst is the VIB package containing the Mellox driver. 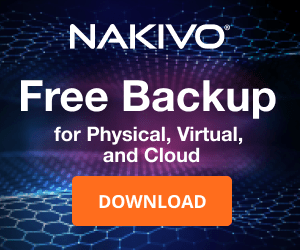 Looking at the drivers displayed, Mellanox driver is not in use by any NIC. To complete the driver removal procedure, you need to reboot the host. Right click the host to reboot and select Maintenance Mode > Entrer Maintenance Mode. 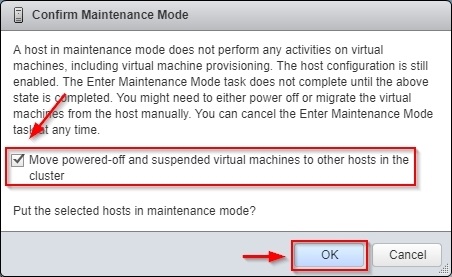 To avoid misconfiguration in the vCenter Server Inventory if something goes wrong during the driver removal, enable the option Move powered off and suspended virtual machines to other hosts in the cluster. Click OK to proceed. 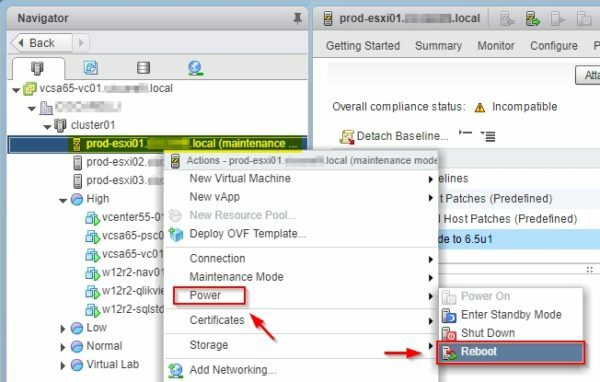 When the host is in Maintenance Mode, right click the ESXi and select Power > Reboot to reboot the host. 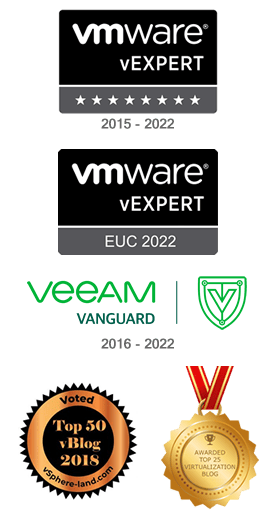 To allow a global upgrade using VUM, you have to repeat same procedure for all other hosts to upgrade affected by this issue. When the Mellox driver has been removed from all hosts to upgrade, click Scan for Updates button once again from the Update Manager tab. 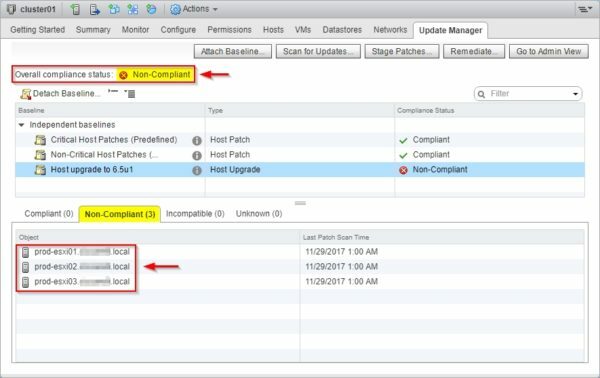 This time hosts are reported as Non-Compliant and can be upgraded. After fixing the conflicting VIBs, the upgrade procedure has completed successfully. For security reasons make sure the SSH service is disabled in the processed hosts. That is a lot of trouble plus a reboot multiplied by # ESXi hosts. I would just build a new a custom ISO base off of HPE iso using powershell image builder (or 6.5 has gui way). I have done it on the lastest 6.0 U3 HPE iso, I needed to add custom DoD STIG vib fling and latest patches. It is not hard but it is not simple as well but it is doable. 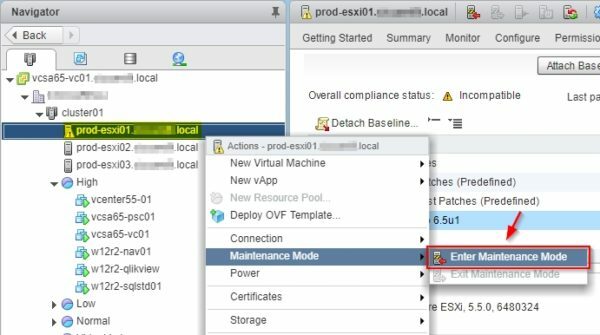 If you only have a handful of esxi to do then this might not be worth the effort, but if you have a lot of esxi to patch then this is a better route. What if I remove them ? They are supposed to be replaced by good version in the update? 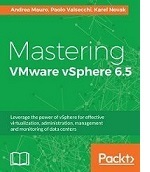 Do I need to reinstall my hosts from scratch ? 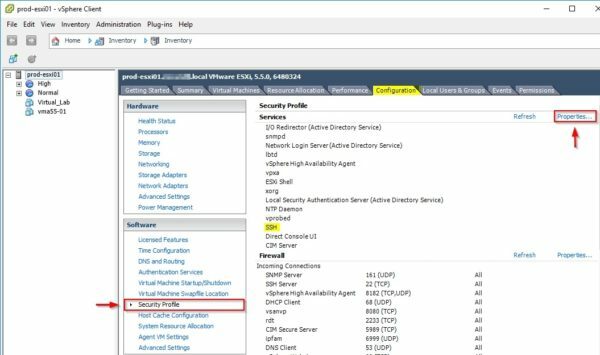 First you should check if the used hardware is on the HCL... this will tell you if the ESXi version you are going to install supports the used hardware (it means drivers should be included). 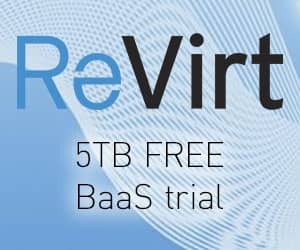 You could inject the correct VIBs into the master image or, if the upgrade process becomes tricky, you can perform a fresh installation if the number of hosts to process is small. Thanks Paolo from this post. 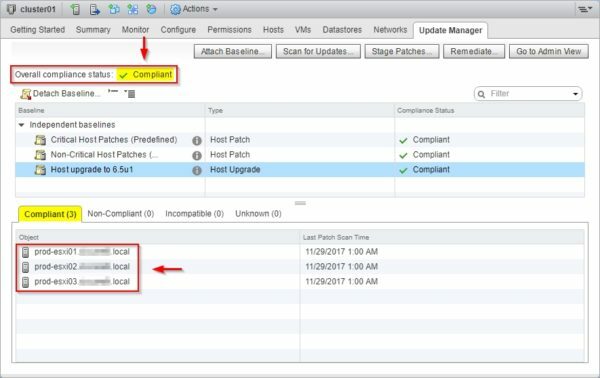 I was doing an upgrade from ESXi 5.5 to ESXi 6.5 U2c and had the same error. Really glad you posted this as I followed the instructions and was able to get the installation to continue. Needless to say, the upgrade was successful. Just wanted to drop a note to thank you.